We’ve figured out by clicking on “Open in SharePoint” under Files in your Teams, opens the #SharePoint site (library) behind the #MicrosoftTeam. But this could be confusing for your users as each channel only shows the documents in that folder. 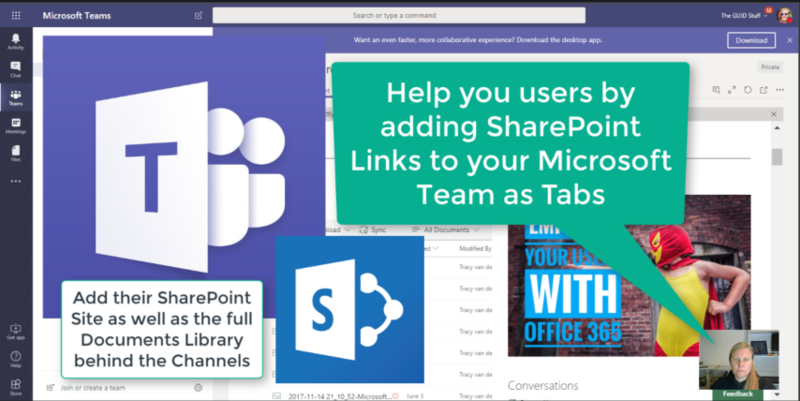 Why not add the SharePoint Site as well as the Full Document Library for them as Tabs to the General Channel when the Team gets created?